by Donald A. Davis Author · General Wesley K. Clark Author of introduction, etc. Deemed "irreplaceable" by Robert E. Lee, Stonewall Jackson assumed his nickname during the Battle of Bull Run in the Civil War. It is said that the Army of Northern Virginia never fully recovered from the loss of Jackson's leadership when he was accidentally shot by one of his own men and died in 1863. 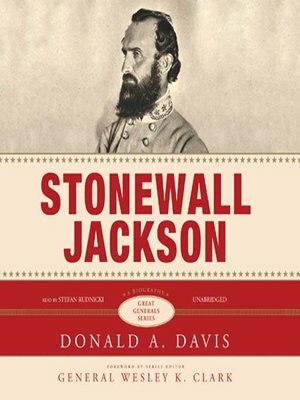 Davis highlights Stonewall Jackson as a general who emphasized the importance of reliable information and early preparedness, who so believed in information that he had a personal mapmaker with him at all times, and he details Jackson's many lessons in strategy and leadership.